Over the past two years playwright Douglas Williams’ work has been seen in the Fringe Festival (Holly’s Dead Soldiers, Safe Space) and the SoLow Fest (Solstice, Four’s the Floor). Now as he prepares for his first professional production, MOON CAVE, at Azuka Theatre, he has partnered with Phindie to share the playwright’s perspective as a new play is developed, rehearsed, and produced. Read the second part of this diary here. 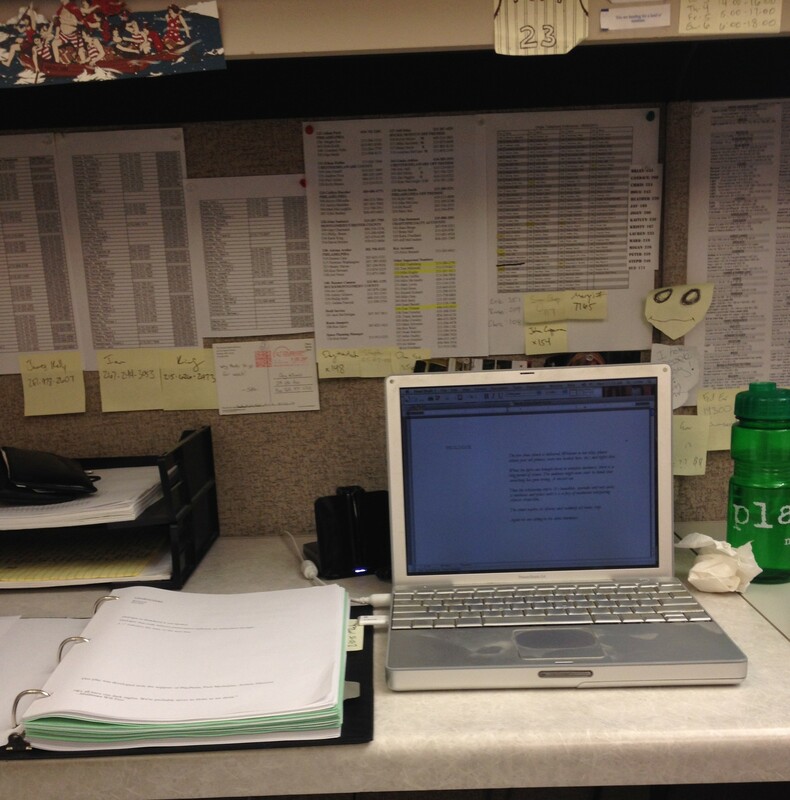 Doug’s desk at work, with the rehearsal calendar for MOON CAVE. Here we go! Last night our stage manager, Lauren, sent out our rehearsal schedule for MOON CAVE. So official. I put the calendar up in my cubicle at work [I work fulltime in the office of a beer wholesaler] and made note of all the rehearsals I’d be able to attend — it’s a little more than half spread out over the entire three weeks. Most of the time I’ll be leaving straight from my day job and showing up halfway through. Hopefully traffic isn’t too much of an issue. Just got back from Azuka where we read the most recent draft of the play We don’t start rehearsal until February 10th, but I’m really trying to get the play as close to finished as possible before we officially start. After hearing it again tonight, I am feeling great which is sort of unexpected. Usually when I leave readings I’m all depressed about how much work I have left to do. Instead I feel like we’re really close. Excited to get into rehearsals in a few weeks. Reading MOON CAVE at an early rehearsal. (l-r) Lauren Tracy (stage manager), Kevin Meehan (Richard), Taysha Canales (Rachel), Mike Troncone (production manager), Kevin Glaccum (director), Douglas Williams (playwright! ), Sally Olove (dramaturg), and Colin McIlvaine (scenic designer). Tomorrow is our first rehearsal and whooooooa. My stomach is doing somersaults. I’m trying to anticipate what it’s going to be like working in a way that is completely new to me. Usually I’m in a room by myself working on a play. I can write something down and say “Okay that’s weird but I’ll worry about it later” but now it’s crunch-time. I hope I’m able to still get good writing done while attending rehearsals and working full time. Luckily Kevin [Glaccum] put together a kickass team to put this play together with me. I haven’t done a ton of work on the play since our last ready. I sent everyone the rehearsal draft this morning. Took off work tomorrow so I can be there for the entire day. We’re officially off and running! Yesterday was our first rehearsal. We got a look at Colin [McIlvaine]’s set design (which was awesome), at Katherine [Fritz]’s costumes (which were equally as awesome) and started work on the play. I feel really lucky to start rehearsals having a director and actors who – because we’ve had more than one developmental reading — are already really familiar with the play. I know that’s a unique spot to be in as a playwright. 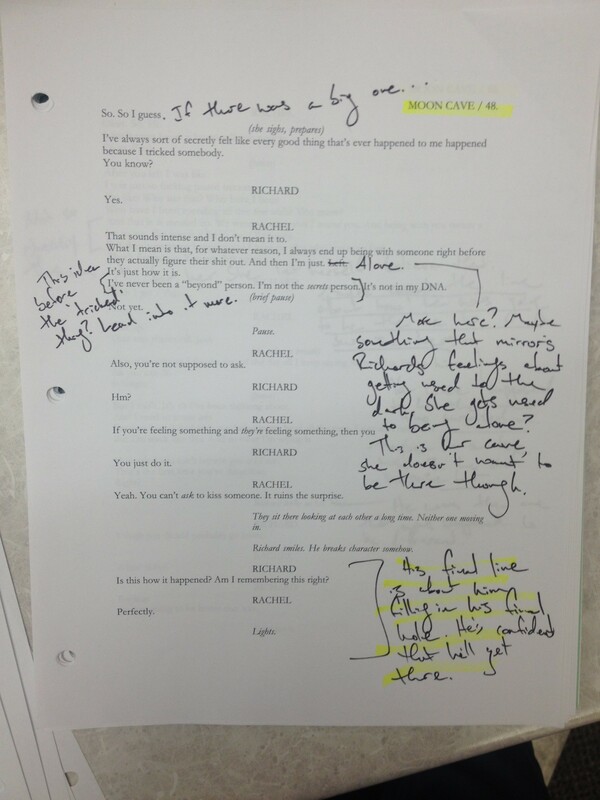 There’s a shorthand already there and ideas about the play and performances are already pretty detailed. After we wrapped for the day I sped home, cracked a beer and got to work cleaning up the places where I saw problems. After about two hours I had 35 new pages for today’s rehearsal – without even touching the ending. I pushed off meetings I had scheduled to film and edit a video for Orbiter 3 (not sure why I thought I would have time to do both in one day). The cast is unbelievable! The more I’ve been able to sit in on rehearsals the more I understand that not everything, or even most things, need to be fixed with more writing. Questions that Taysha [Canales] and Kevin [Meehan] have with the text do not mean I have to go home and fix it. That’s just how we discover what the play is about. Still, I have been touching up things here and there. Mostly clarifying or just cutting things that have already been established. We have these four dream-like scenes that occur in Richard’s head. I’m still trying to figure out the best way to have those come across. Kevin [Glaccum] thinks what might be best is to wait for a stumble through so I can see it in context, but on the whole the big lesson I’ve learned thus far is: LESS IS MORE. I need to step back and let everyone else do their job. 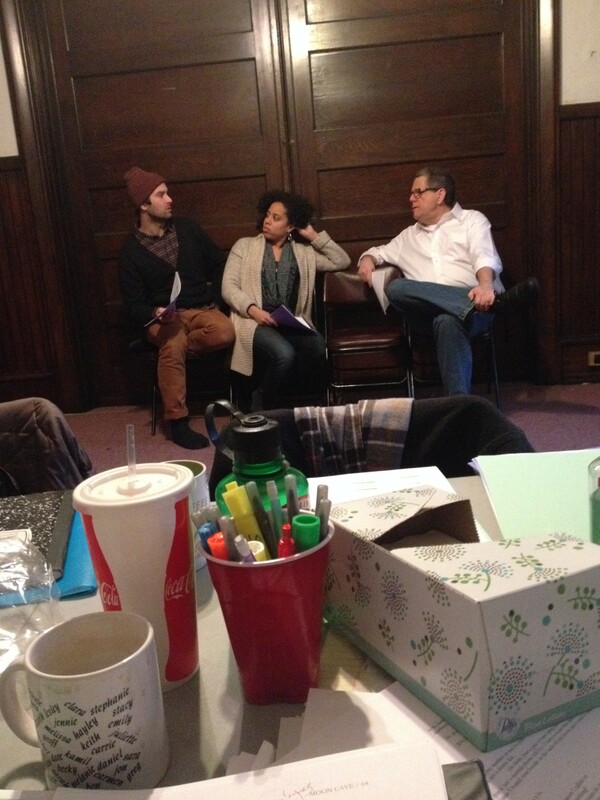 Rehearsing MOON CAVE: Kevin Meehan, Taysha Canales, and Kevin Glaccum. I brought my laptop to work today so I can write during downtime. I have some pages to get ready for rehearsal tonight. 15 days to our first preview and we’re starting to freeze scenes. I haven’t been to rehearsal for a few days but Kevin called me last night to go over questions that have been coming up. Got some really great notes. Going to do my best to address them now so I can have the script updated for tonight. Yesterday I was really struggling to churn out new pages. I showed up to rehearsal a little depressed and worried that I might not be able to get the play where it needs to be. Then we did a stumble through and I was blown away. Kevin and the actors have been doing so much great work. Seeing the play on its feet really was incredible. I feel totally energized. The first 50 to 60 pages of the play actually feel really tight – I don’t think I’ll be making huge changes to those scenes from here on out. But the last two scenes definitely need some focus. I’m starting to feel the pressure but maybe that’s a good thing. New Pages: 0 – Took the night off! It’s Saturday so I got to be at rehearsal the entire day. It worked out because we had our designer run today. In a way, our designers are the first audience we’ve had for the play. Their presence really seemed to electrify the actors and clarified the story in a lot of ways. When we finished the run, Nick Kourtides, our sound designer, got out his equipment to record some whispering that occurs throughout the play. We needed dialogue that isn’t currently in the play so it wouldn’t give away things that happen later. So I went into my email and pulled up the first draft of FF, which was written over a year ago. We pulled a scene from the end and had Kevin [Meehan] read and record that. All that’s left is the ending. I woke up early yesterday to sift through the notes I got last rehearsal. I emailed the new pages, and later spoke to Kevin and Sally about how they sounded in rehearsal (I couldn’t make it because of work). I drove the 45 minutes back to my apartment with the radio off so I could absorb all their thoughts. When I got home I talked to my girlfriend Martha about what I had come up with and sat down to write. I’m at work now. In the next few hours I will be finishing the new pages and send them in before rehearsal starts today at 4 PM. I’ll get to rehearsal at 7 PM — hear them out loud, get notes, go home and repeat the process. I’m hoping that by the end of rehearsal tomorrow the entire play is pretty much frozen. Tech is this weekend and previews are a week away. Time to finish the damn thing. That’s it. I just emailed over my last new pages for MOON CAVE. 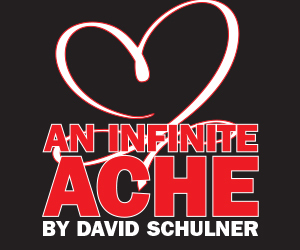 Tech starts tomorrow so, besides small line changes that might occur, the play is finished. Half of me is really relieved and the other half is a little uneasy. As long as you’re in the rewriting process you always have the safety net of “Well, I’ll get it to where it needs to be at some point.” Not anymore. Luckily we have an amazing team that is bringing this thing to life. Seriously, Kevin’s direction and the work Taysha and Kevin have been doing have made my life so much easier. They’re transforming my words into something so much better than could have anticipated. I can’t wait to the finished product. 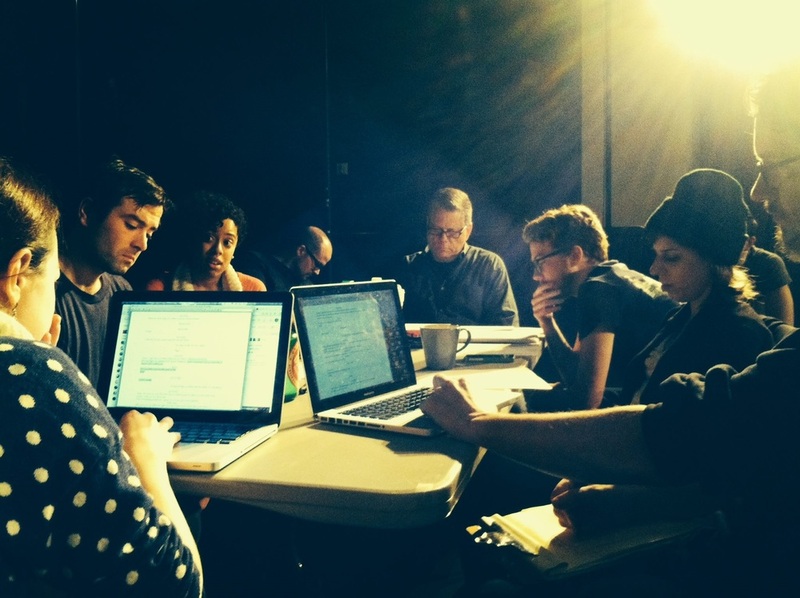 MOON CAVE runs March 4-22, 2015 [Off Broad Street Theatre, 1636 Sansom Street]; azukatheatre.org. Visit douglaswilliamsplaywright.com for more about Doug Williams and his plays. Douglas Williams is the Playwright-in-Residence at Azuka Theatre in Philadelphia, where his play Moon Cave will be produced during the 2014-2015 season. Moon Cave was developed at the 2014 PlayPenn New Play Conference. 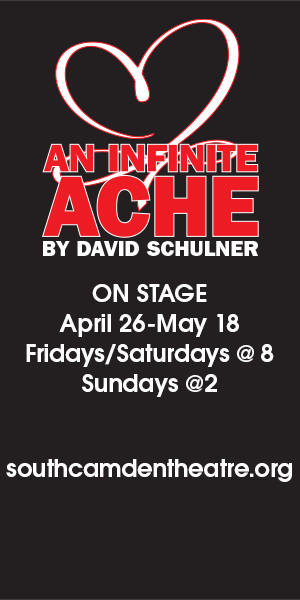 Other plays include The Death and Life of Uncle Gene, Now I Am A Wrecking Ball and Shitheads, which was a finalist for the Lark's 2014 Playwrights' Week and a semifinalist at the Eugene O’Neill Theatre Center’s National Playwrights Conference. Williams co-wrote the 2013 Philadelphia Fringe Festival play Holly’s Dead Soldiers and is currently working on another collaborative project for the 2014 Fringe Festival with playwrights Emily Acker, Emma Goidel, and director Maura Krause. Williams is a member of the The Foundry, a lab for early-career playwrights led by Michael Hollinger, Jacqueline Goldfinger and Quinn D. Eli. He is a graduate of Temple University.